In what some industry observers are calling a "Back-to-the-Future" moment, the need for faster and wider pipes to deliver video and other data-intense applications is driving a raft of tie-ups between mobile and cable operators that is only expected to accelerate. With data usage on smartphones and tablets rocketing higher, operators are moving to take control of the physical cables the information runs through to save costs and offer better services. But European companies have been relatively slow to pick up the trend, at least compared with the U.S., and are now catching up. "It's kind of a back-to-the-future moment, there's a need for bandwidth and buildout of fixed infrastructure," said Chris Barraclough, managing director and chief strategist at London-based technology consultants STL Partners. "Operators like Vodafone are seeing that mobile is not everything." This week, Britain-based Vodafone agreed to spend $10 billion to buy Spanish cable operator Ono. 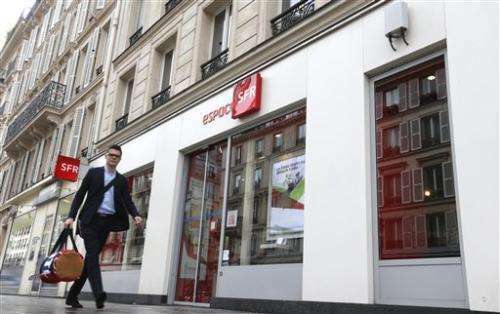 French cable company Altice is hoping to buy the SFR mobile operator for $15.8 billion. Earlier, Vodafone had pocketed German cable operator Kable Deutschland, while Poland, media group Cyfrowy Polsat took control of mobile operator Polkomtel. The U.S. has also seen similar deals—Liberty Global this year followed its 2013 purchase of Virgin Media with a $10 billion acquisition of Dutch cable operator Ziggo. But unlike in the U.S., where Verizon and AT&T dominate the wireless carrier industry, Europe's telecoms landscape remains fractured and offers scope for many more mergers and acquisitions yet. Europe's 505 million consumers have benefited from lower prices thanks to the fierce competition between dozens of operators—Germany, Britain, France, Spain and Italy all have four operators. The bonanza of choice for consumers has led to mobile services that are 50 to 75 percent cheaper than in the U.S., according to the International Telecommunication Union in Geneva, Switzerland. For many years, Europe's consumers also benefited from the advanced 3G data networks that its operators rolled out far in advance of their U.S. rivals, who were stuck using older, slower technology. Roles have reversed in the last few years, however, as cash-strapped Europeans struggled to adopt next-generation 4G technologies. U.S. operators began investing in 4G networks in 2009, and now data connection speeds there are around 75 percent faster than the EU average, estimated industry trade body GSMA Intelligence. Meanwhile it's only in the last year that many European providers have gotten similar networks into service. By the end of 2012, 4G-equipped devices were 11 percent of all devices in the U.S. and only 1 percent in Europe, according to GSMA Intelligence, a research group. European countries were slow to sell the wireless spectrum needed for 4G networks. The complex telecoms environment, with hundreds of operators across the various countries, makes financing network upgrades more difficult. This means that while average revenue per account has risen 21 percent for Verizon Wireless since it launched its 4G service in 2010, average revenue for European carriers has stagnated or fallen. 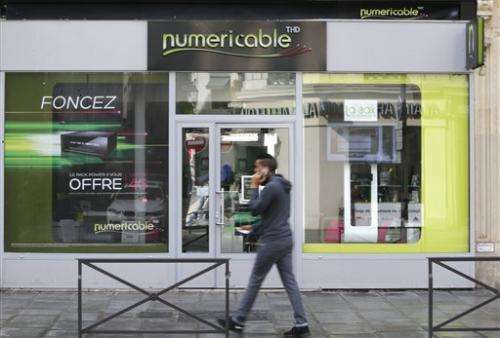 In France for example, where the entry of fourth operator Free Mobile in 2012 led to a market shakeup, average revenue per account fell 13.2 percent in the third quarter of last year, according to GSMA Intelligence. Having lost their technological lead to U.S. and Asian carriers, European giants including France's Orange and Germany's Deutsche Telekom, as well as Vodafone of Britain and Telefonica of Spain, are hoping that a planned overhaul to Europe's telecoms regulations, as well as further tie-ups and consolidation among the continent's more than 100 players, will help get their mojo back. Claiming that a single telecoms market could add about 1 percent, or more than 100 billion euros ($132 billion), to the region's gross domestic product, the European Union will soon adopt legislation to abolish mobile phone roaming charges across the 28-nation zone while streamlining its telecoms sector and boosting investment in new high-speed networks. The changes aim to fix the bloc's fragmented telecoms market, cut red tape and encourage investment in new high-speed networks to boost growth. Starting in July, the proposed legislation means customers will no longer have to pay for incoming calls when traveling in other EU countries. All roaming charges would be ended two years later. It's still early to know, however, if the operators will start charging more for their own services, like in the U.S. The European industry still has some way to go to become as consolidated as the U.S., Barraclough said. "I think it will accelerate dramatically," he said, "There's going to be a big shake-out."